I was lucky enough to receive the Expeditionary Art's Pocket Palette for Christmas. 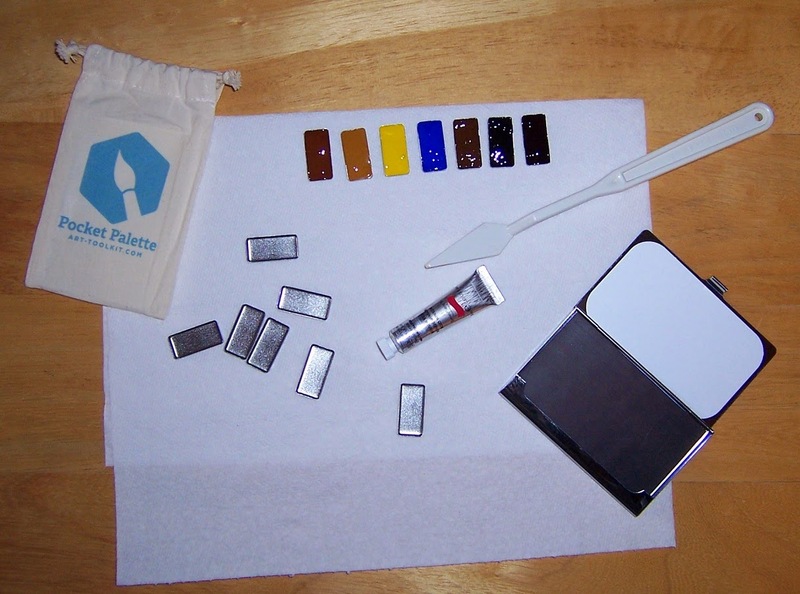 This tiny watercolor palette is perfect for travel watercolor painting or urban sketching. It has refillable metal pans that attach magnetically to the business card holder sized case. 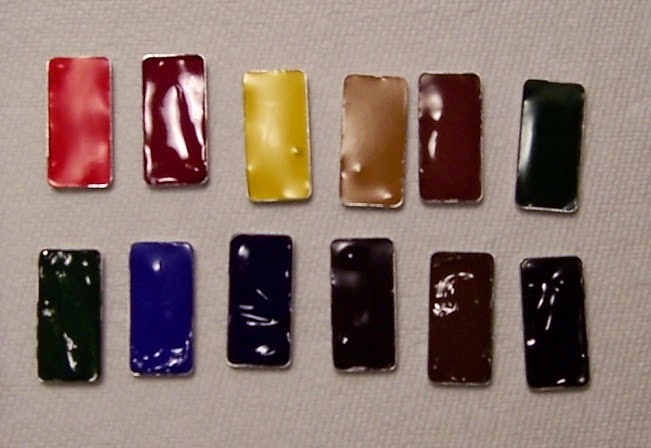 I filled the pans with artist grade Winsor Newton and Daniel Smith tube watercolors. Combining the Pocket Palette with this collapsible shot glass by Sea to Summit and the Silver Black Velvet Voyage travel brush I have no excuses not to get out and paint. 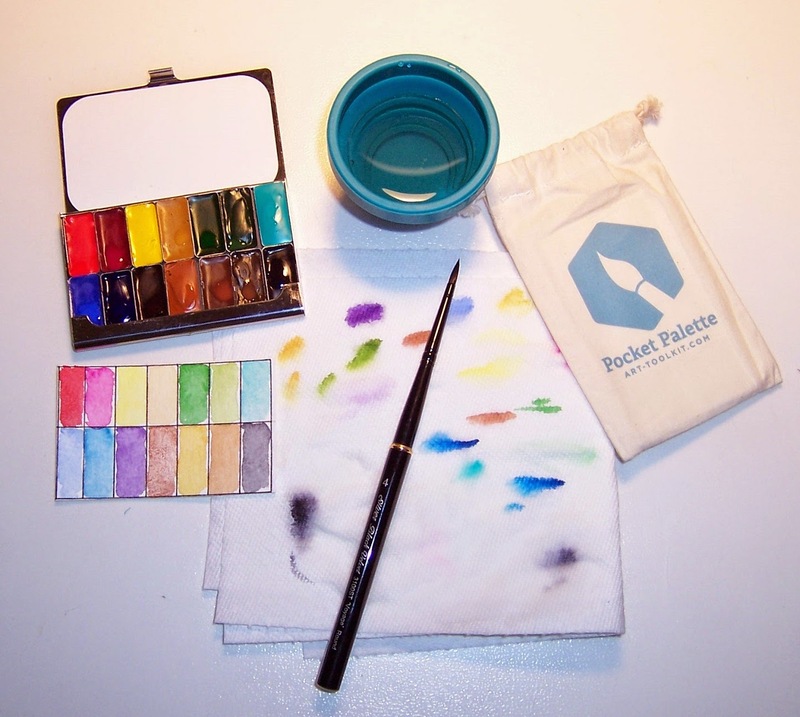 Get your own Pocket Palette here at Expeditionary Art and be sure to visit Maria Coryell-Martin's website to see the incredible paintings she creates.